You’re going to want a raise after reading this. Marketing firm MVF Global has calculated the “true value” of employees around the world, and maybe not surprisingly there is a pretty large gap between what workers at the world’s largest companies are paid and what they're actually worth to the company. 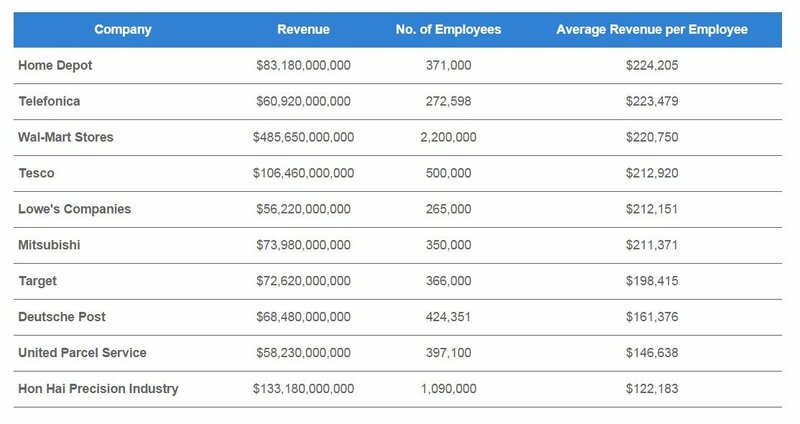 “Focusing on the top 100 companies in the world by revenue, we’ve calculated the value of 20.8 million employees and can tell you that on average, each employee is worth over $1.3 million,” MVF Global says. 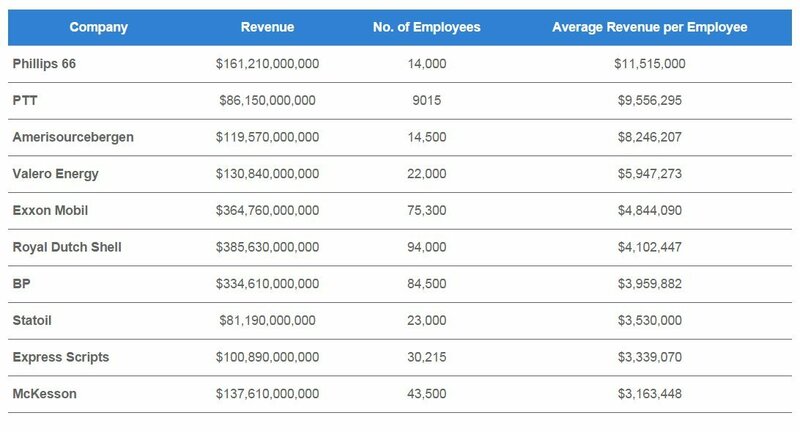 Each employee at Apple, for instance, generates US$1.9 million in revenue annually, MVF calculated. An Apple Store “genius” earns between $29,000 and $55,000 a year, or as little as 1/60th of the revenue they generate. And that doesn't include all the people working for peanuts at Apple's contractors in Asia. Each employee at Walmart generates much less -- US$220,750 -- in revenue annually, but the average Walmart sales associate in the U.S. earns $15,576 annually. As sad as that salary is, it works out to about 1/14th of the revenue Walmart generates per employee. So Walmart's retail employees are actually taking a much bigger slice of the corporate pie than Apple's retail employees. You heard it here first. “If each employee really did earn their worth, based on these top 100 companies alone, there would be 2.1 million more millionaires on the planet,” MVF Global concludes. Of course, companies couldn’t actually ever pay out their entire revenue in salaries. The lion’s share of a company’s revenue goes to covering the costs of doing business, as well as dividends to be paid to shareholders. So Walmart greeters making $200,000 a year? Not gonna happen. Still, it’s instructive to see just how much money employers make off their employees. Those large consumer-product companies that dominate the list of world’s biggest aren’t actually where the world’s most underpaid workers are. Those workers are in the oil industry. 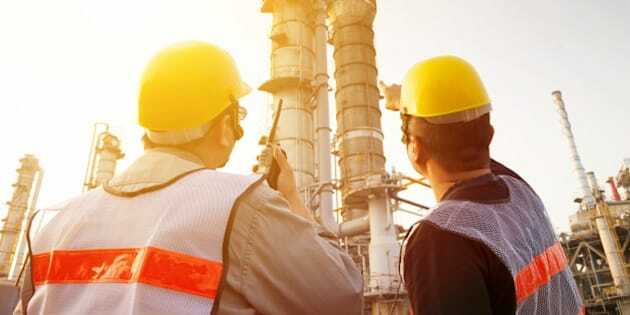 Oil workers may be among the best-paid employees out there, but not when compared to what their employers are making. If every employee of Phillips 66 earned what they generate in revenue, they would be making $11.5 million a year. The average salary there is estimated at US$76,000 -- not bad, but hardly reflective of what these employees generate. Why is it like this? The oil industry is "capital intensive" rather than "labour intensive." It takes a lot of money to drill an oil well, but once it's up, it doesn't take that many people to keep it running. So the oil flows out, money flows in, and few employees need to be paid.